I started this blog for our 2012 trip to the USA and Canada and have used it since for our significant travels as a couple or with small groups of friends. A couple of weeks ago I thought it might be time to refresh the look and feel of the site so I began playing with themes. The one that I had been using is no longer supported on the WordPress.com site so it was time to change. That required some experimentation to find a theme that I was reasonably happy with. Because this site is hosted for free on WordPress.com the options for selecting and tweaking themes are more limited than on my personal blog which is self hosted. Having switched to a theme that I am reasonably happy with, I thought I should test it in operation before we head off to South Australia at the end of next week. Hence this post about our recent and proposed walking. Majella has been inspired by a book published by our friend Laura Ryan with design assistance from her daughter, Aimee. Laura is a keen bushwalker and lives on the Gold Coast. 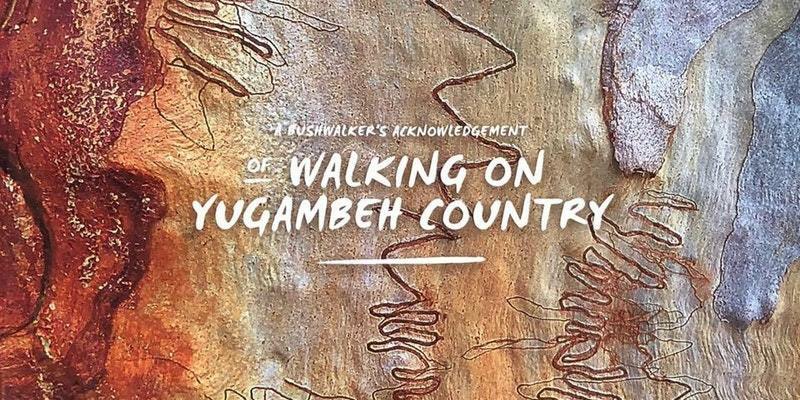 Her book, A Bushwalker’s Acknowledgement of Walking on Yugambeh Country, has photographs and descriptions of some of her favourite walks around the Gold Coast and its hinterland. Majella has ambitiously determined that we should attempt all of the walks in the book this year. One of my efforts to assist in her campaign was to construct a spreadsheet table listing the walks and some key characteristics such as distance, suggested degree of difficulty, and location. My intention was to enable us to group the walks logically where appropriate and to plan a sequence that would allow us to build fitness on the shorter ‘easy’ walks before attempting the longer ‘strenuous’ ones. I’ve reproduced the table below with links to Google Maps for locations. We can mark them off as we complete them. I’ve been collecting my photographs taken on the walks in a Flickr album. In February we made a good start by completing a couple of easy walks in Springbrook National Park. That enabled me to tick off an item from my ‘bucket list‘ by walking in a rainforest. Since then we have worked through the other shorter walks, completing the last of the short ones at Tamborine Mountain yesterday. Our next walking from the book may not be until August when Laura has kindly offered to guide us around some walks that start from O’Reilly’s Rainforest Retreat. Staying there overnight between days of walking should help with recovery. In the meantime we may need to intensify our training efforts on the local hills and invest in equipment including walking poles. In the course of searching out Google Maps locations for the walks I found some descriptions of the last listed walk to the Cougals. Having read a graphic blog post about that walk I now understand why the advice in Laura’s book is to ‘take a guide’ for that one. If we get that far down the list we will be looking for a guide.